New Delhi : The RSS volunteers formally wore its new uniform on the occasion of Vijay Dashmi, the RSS volunteers were seen in brown trousers and brown socks during the 'Path-Sanchalan' organised in on the occasion of 'Vijayadashmi' on Tuesday. RSS chief Mohan Bhagwat offered floral tributes to RSS founder Dr Hegdewar at Smriti Mandir. 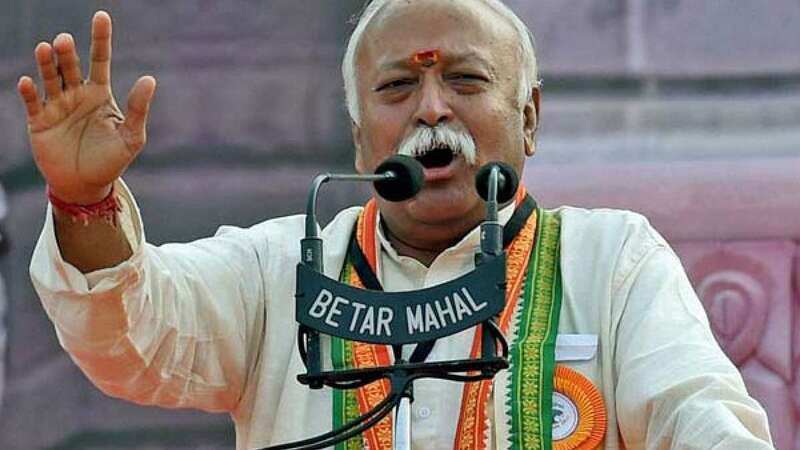 Speaking on the occasion, the RSS chief said, “The country is growing, there are some countries in the world who don't want to see India progress. They at times get support from people within." Taking stand for the Kashmiri Pandits, Mohan Bhagwat further said, “We must provide justice to the displaced Kashmiri Pandits. Kashmir is a serious concern. The commitment of our government is clear. A large part of Kashmir is free of tension and violence. We must act against those indulging in this violence." # Around 10,000 members of the RSS participated in the Path-Sanchalan. # Path-Sanchalan (route march) was held across the nation on Dusshera and all the volunteers will be wearing the new uniform. # The new uniform replaces the khakhi half pants with brownish trousers and khaki socks with brownish socks.